This refurbished and redecorated airconditioned apartment offers a high standard of luxury and comfort. It is on the ground floor of a low rise group of apartments, offering maximum privacy in a resort location. It has two twin bedrooms, two bathrooms (one en-suite) and a fold-up double sofa bed (or two single inflatable beds as an alternative) to sleep a maximum of six. The spacious lounge/dining area with satellite TV, DVD and free internet access leads out onto a partially shaded marble sun terrace with loungers overlooking beautifully landscaped gardens. 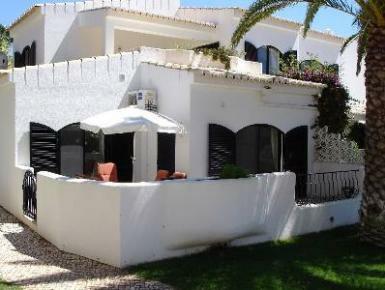 Fully registered as a rental property with the Portuguese authorities - registration number 37648/2010.